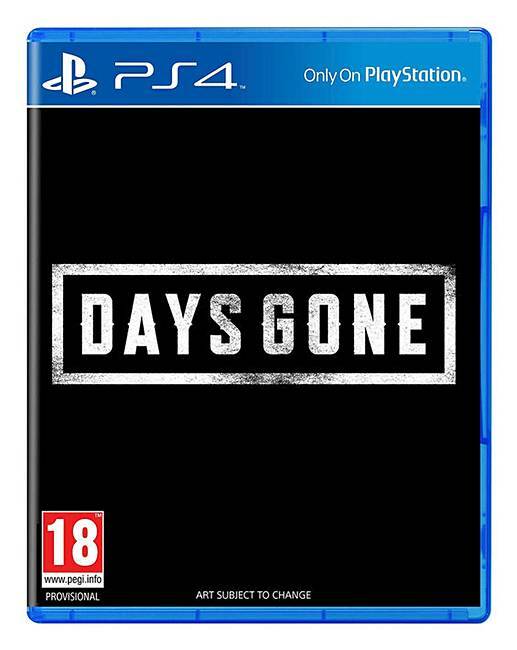 Expansive Open World Action - Exemplifying truly free-form gameplay, Days Gone offers freedom to explore, strategize and play "your way" in the vast high-desert of the Pacific Northwest. The hazardous environments, filled with carved out ridges, mountains, caves, cliffs, mines and river basins, deliver a breathtaking backdrop to an equally diverse style of gameplay. Emergent Gameplay - Featuring fully explorable environments and dynamic AI enemies, players will rely on their own abilities to strategize, craft weapons and tools, explore the world, and engage in combat. With almost every car, building and environment searchable, Days Gone delivers emergent gameplay possibilities, making a player's approach to combat and discovery a vital part of the experience. Stunning, Dynamic Graphics - Using the power of PlayStation 4 and Unreal Engine 4, Bend Studio has developed a high volume of rendering and gameplay technology to deliver an incredibly realistic open world experience. Realistic weather effects, such as rain, wind, snow and day-night cycles impact the gameplay. The game's lighting is all real-time and reacts dynamically, the way the human iris does, as players move from one location to the next.